Liverpool U18s face an exciting first home game of 2018-19 when they host Manchester United at the Academy on Saturday August 18. With new manager Barry Lewtas at the helm, the young Reds kick-off the new campaign with a trip to Sunderland a week previous to the clash with United. 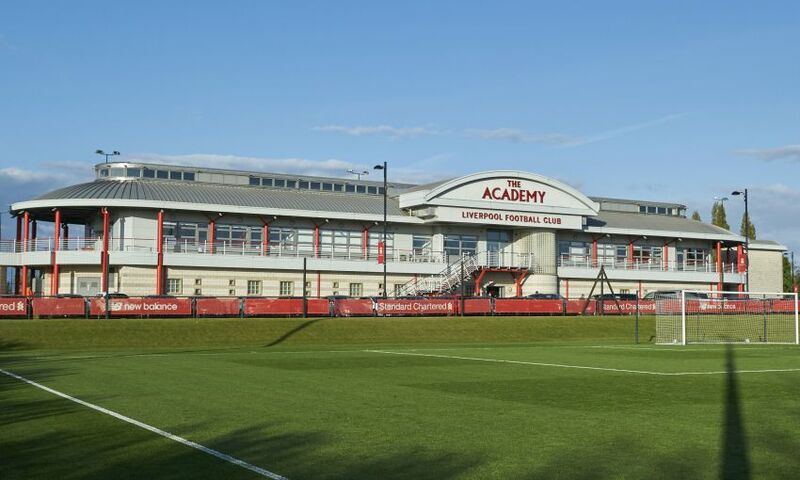 The first mini-derby of the season versus Everton is scheduled to be at the Academy on Friday November 2, while Lewtas' side are set to end their league season at home to Middlesbrough on Saturday April 27. As well as competing in the U18s Premier League, the U18s will also take part in the Premier League Cup this term. The club's U19 group will again feature in the UEFA Youth League. Saturday 11 - Sunderland (A) - 11am BST, at the Academy of Light. Saturday 18 - Manchester United (H) - 11am, at the Academy. Saturday 25 - West Bromwich Albion (H) - 11am, at the Academy. Saturday 1 - Stoke City (A) - 11am, at Clayton Wood Training Ground. Saturday 15 - Newcastle United (H) - 1pm, at the Academy. Saturday 22 - Blackburn Rovers (A) - 11am, at Blackburn Rovers Academy. Saturday 6 - Manchester City (H) - 11am, at the Academy. Saturday 20 - Wolves (A) - 12pm, at Sir Jack Hayward Training Ground. Friday 2 - Everton (H) - 7pm GMT, at the Academy. Friday 23 - Derby County (H) - 7pm, at the Academy. Saturday 1 - Middlesbrough (A) - 11am, at Rockliffe Park Training Ground. Saturday 5 - Manchester United (A) - 11am, at Aon Training Complex. Friday 11 - Sunderland (H) - 7pm, at the Academy. Saturday 19 - West Bromwich Albion (A) - 11.30am, at the West Brom Training Ground. Friday 1 - Stoke City (H) - 7pm, at the Academy. Saturday 23 - Newcastle United (A) - 11am, at Newcastle United's Training Centre. Saturday 2 - Blackburn Rovers (H) - 11am, at the Academy. Saturday 16 - Manchester City (A) - 11am, at City Football Academy. Saturday 30 - Everton (A) - 11am, at Finch Farm. Saturday 6 - Wolves (H) - 12pm BST, at the Academy. Saturday 13 - Derby County (A) - 12pm, at Derby County's Training Centre. Saturday 27 - Middlesbrough (H) - 12.30pm, at the Academy.